4 Services, the signed and dated Unilateral Undertaking is awaited. A Grampian condition and informative are recommended. 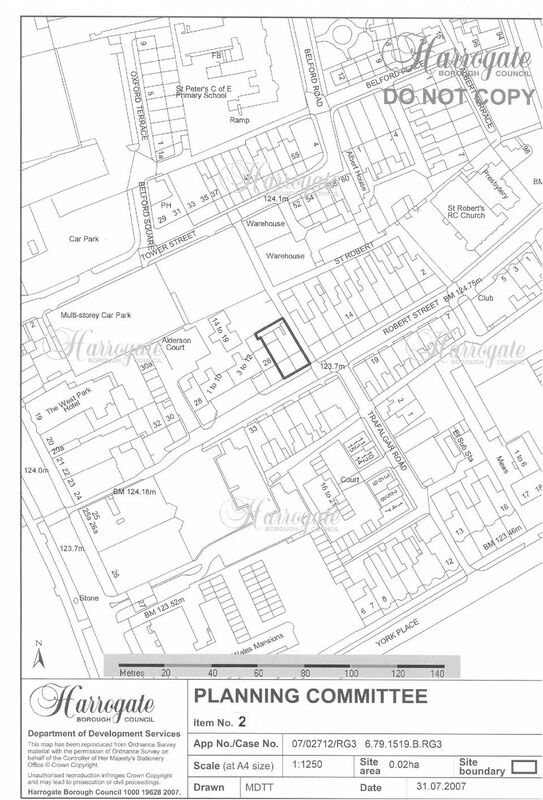 CONCLUSION The change of use of the properties back to two individual dwellings is acceptable and would complement the residential character of the area. No external alterations are proposed and there would be no impact on the character and appearance of the conservation area. 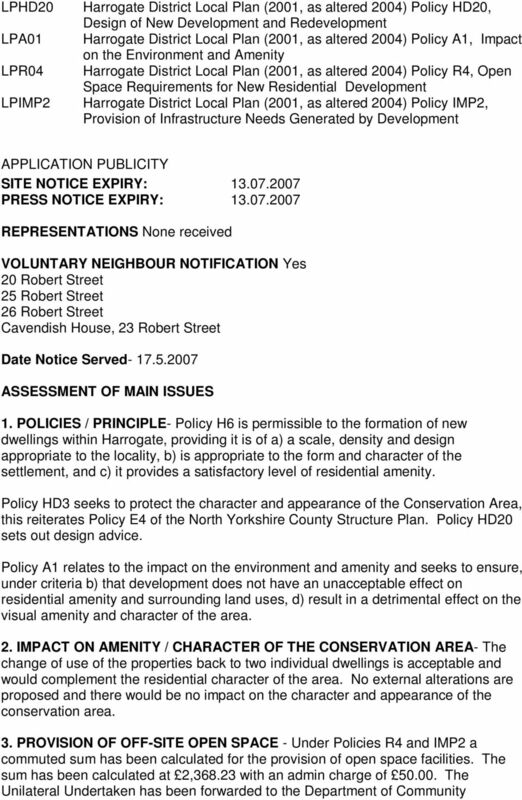 The proposals comply with the policies in the Harrogate District Local Plan (2001, as altered 2004) and there are no material considerations in this instance that warrant setting aside local planning policies. CASE OFFICER: Mrs J Lurcuck RECOMMENDATION That the application be APPROVED subject to the following conditions:- 1 The development hereby permitted shall be begun on or before 3 years. 2 The development hereby permitted shall not be carried out otherwise than in strict accordance with the submitted details as modified by the other conditions of this consent. 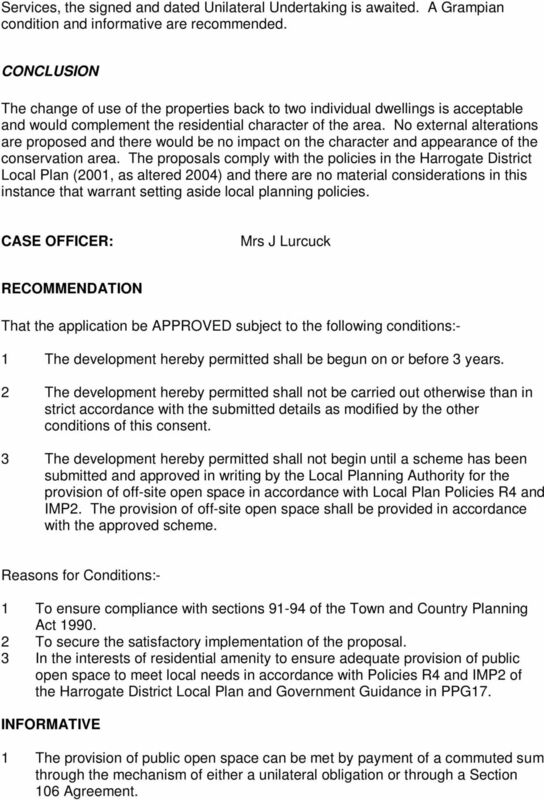 3 The development hereby permitted shall not begin until a scheme has been submitted and approved in writing by the Local Planning Authority for the provision of off-site open space in accordance with Local Plan Policies R4 and IMP2. 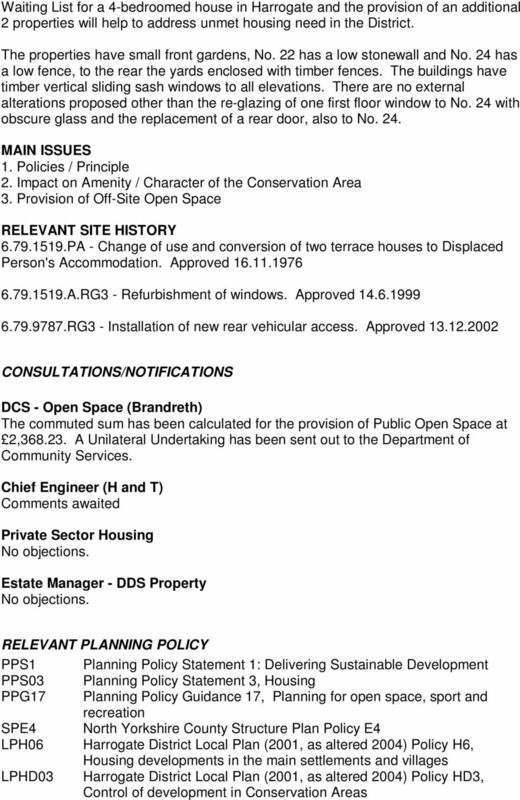 The provision of off-site open space shall be provided in accordance with the approved scheme. Reasons for Conditions:- 1 To ensure compliance with sections of the Town and Country Planning Act To secure the satisfactory implementation of the proposal. 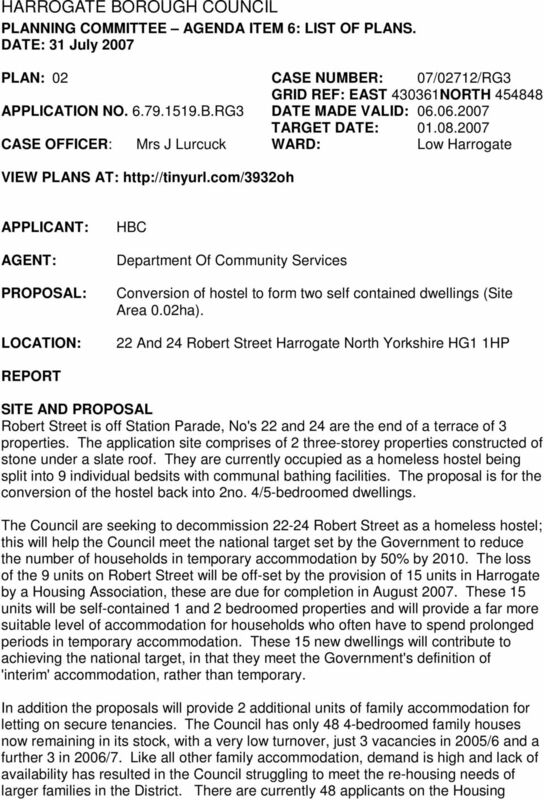 3 In the interests of residential amenity to ensure adequate provision of public open space to meet local needs in accordance with Policies R4 and IMP2 of the Harrogate District Local Plan and Government Guidance in PPG17. INFORMATIVE 1 The provision of public open space can be met by payment of a commuted sum through the mechanism of either a unilateral obligation or through a Section 106 Agreement.